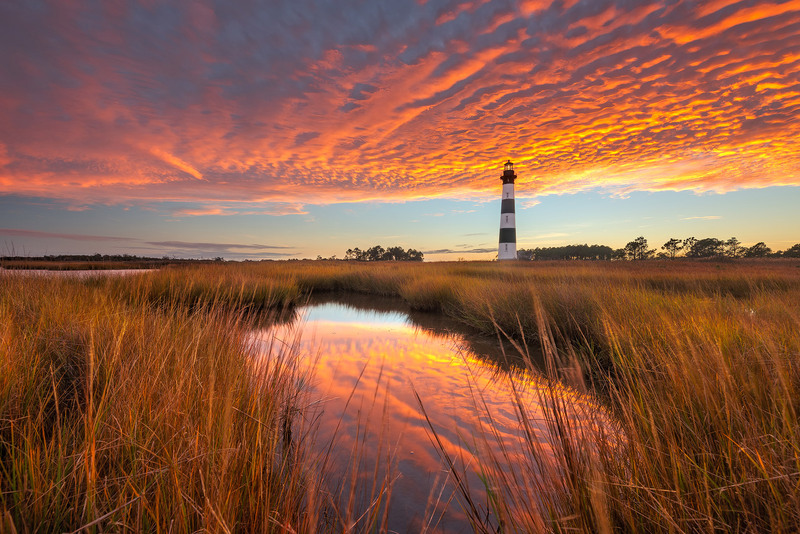 Amazing sunset at Bodie Island Lighthouse. I've been dreaming of this shot but never knew how I was going to pull it off. On Saturday morning I decided that I was going to make the five and half hour drive to this location for sunset and come right back home afterwards. I knew that if I got out in the marsh, I could get a composition that is quite unique since most people wouldn't dare to tread out here with all the signs that warns of deadly snakes. I was totally swept away by this sunset, one of the most beautiful sunsets I have ever witness! And not a soul was a around for this beauty - only me standing in the marsh and the sounds of quacking ducks into the night. Then came the wonderful drive home, but it didn't matter, the excitement of catching this shot lasted a long time!